The recipe below has been tested in OpenOffice 3.0.1. It is unclear (though expected) that it will work also in newer revisions. 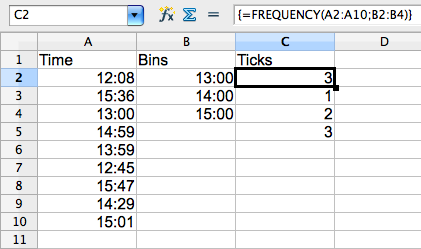 Suppose you have a set of data, time data in my example, each representing when a certain event has happened. But rather having to digest the detail data you're only interested in high level information like how often did the measured event occur in an hour. So you got a number of events at certain times, unsorted, uncounted. 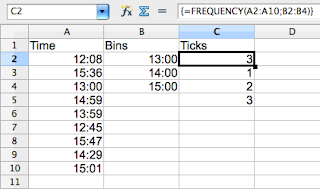 Assume that these data are in column A in your spreadsheet, maybe labeled Time in the first row. 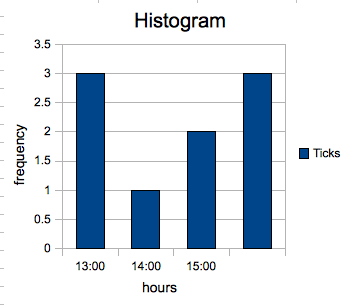 In the example above identifying the bins for the histogram is rather easy: you pick full hours. It is also rather easy to find the minimum and maximum hours. 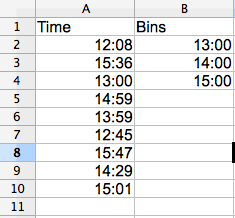 When your list of data is very long you might not easily see the minimum nor maximum nor might it be obvious how to set the bin intervals, a little trial and error is necessary to get there. 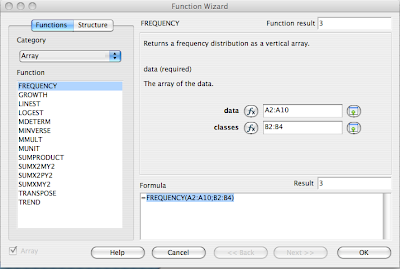 StarOffice contains a FREQUENCY function which takes two arrays as input and also returns an array of results (maybe something one has to get used to. The example will make it clear how to use it. 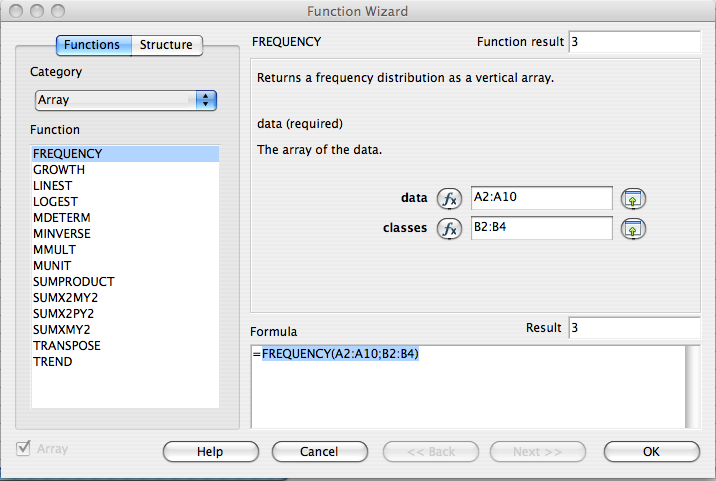 Click into cell C2 and click on the functions icon. Thank you so much! This is the only tutorial I found that explained this so concisely and clearly.